On January 21, 2008, she will release her long awaited debut album “Small Arm of Sea” – a somewhat revolutionary release: Firstly, because the music can be both heard and seen – literally – through a new album format and secondly because the album is not only for purchase in stores. It is also available online. For free. Musically, Tone – who carries the civil name Sofie Nielsen – creates a remarkable audiovisual realm in which her light and spellbinding voice adds to a bed rock of crunchy break beats, abstract compositional structures and catchy melodies. Not being a typical songwriter in terms of clinging to the usage of the traditional structure of verses and choruses, Tone relies on improvisation and creative exploration in the creation of her unpredictable musical landscapes – while adding daunting, yet compelling lyrics – and thereby drawing listeners into her musical and atmospheric universe of thoughts, sounds and a myriad of emotional expressions. In her native country of Denmark, the last months have been hectic. 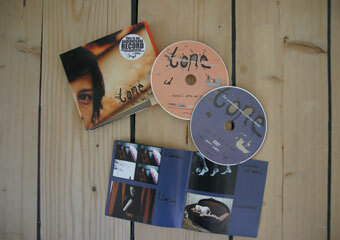 First, Tone took first prize in the prestigious live performance competition Rock Nord ‘06 competing with other internationally famed Danish break-through artists including The Alpine and The Blue Van. Secondly, her track “I Am Long” peaked at #4 on Danish national radio chart “Det Elektriske Barometer” (The Barometer), paving the way for further public awareness of this brilliant new artist’s unorthodox work as well as her performances at venues and festivals in Denmark and Sweden. All this led to several interviews on national radio – and even a regional tv-special about this young and charming bohemian, who lives in a homemade house on the shores of the Limfjorden arm of sea in the northern part of Denmark. An artist that clearly adds an interesting touch to the otherwise somewhat faceless electronica musical genre. The album that Tone releases is no ordinary record. First and foremost because of the fact that it is not only a conventional audio-release, but rather a so-called “audiovisual record” consisting of both a dvd and a cd or vinyl in the same box. This gives the listener two choices in experiencing the album: The conventional way through a cd player or the new and enhanced way, on tv via the dvd, an audiovisual experience, in which the music is accompanied by abstract and compelling music videos made by Tone herself in collaboration with video artist Kristian Ravn-Ellestad. A collaboration of sound and video also to be experienced when Tone performs live. However, the unconventionality of the record goes beyond that: The album is released under the special Creative Commons license that replaces traditional copyright, thereby granting the record buyer the right to freely copy and re-distribute the music and video to all of his or her friends. In other words, the consumer is given the choice to either buy a record in the store or legally download the music for free from Tone’s or her record label’s website. 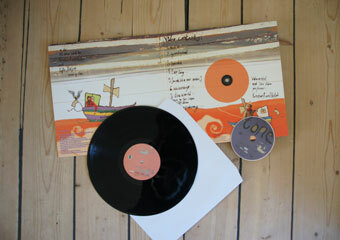 The record label is Urlyd, a small Danish independent and the first label in the world to distribute physical sound carriers to retail stores under the Creative Commons license. The concept is to embrace illegal piracy by making it legal, seeing this as an advantage in the sense that it will enable more people to experience Tone’s music. “If people enjoy what I do, they can support me by buying the record in the stores. This will give them the video part as well. 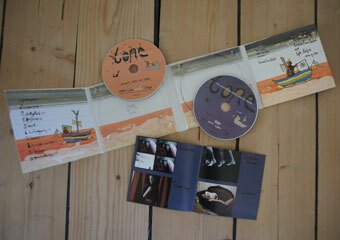 But otherwise I hope they will download the music for free just to check out what I do,” Sofie Nielsen smiles. 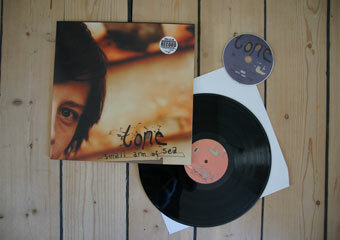 The audiovisual album hits Danish stores on January 21, and will be available for download on the same date from http://www.tonetone.org and here on urlyd.com.